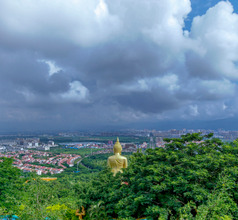 Xishuangbanna is a prefecture-level city located in the southeastern corner of China. 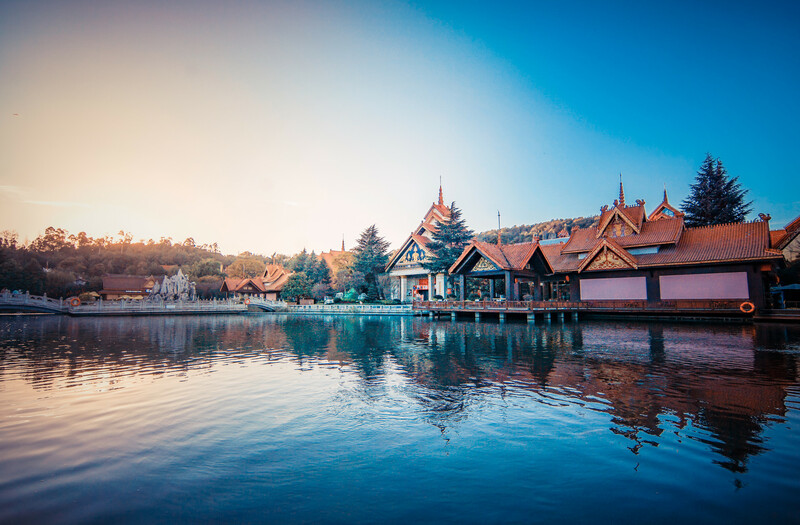 It is the easiest land-based access point between China, Myanmar, and Laos and is considered one of the major gateways into the country vis-à-vis trade and tourism. 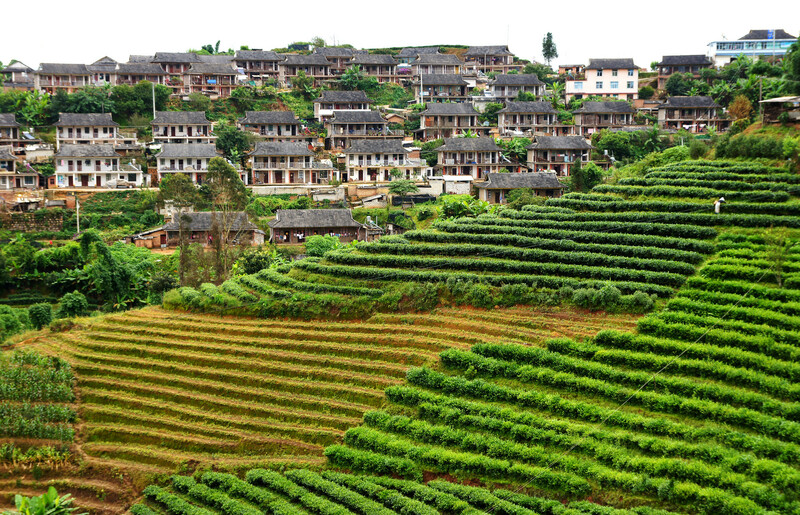 Although a majority of the population consists of Han Chinese and Dai ethnic group, there are other ethnicities living in the region as the Bulang, Hani, Lahu, and Jinuo. 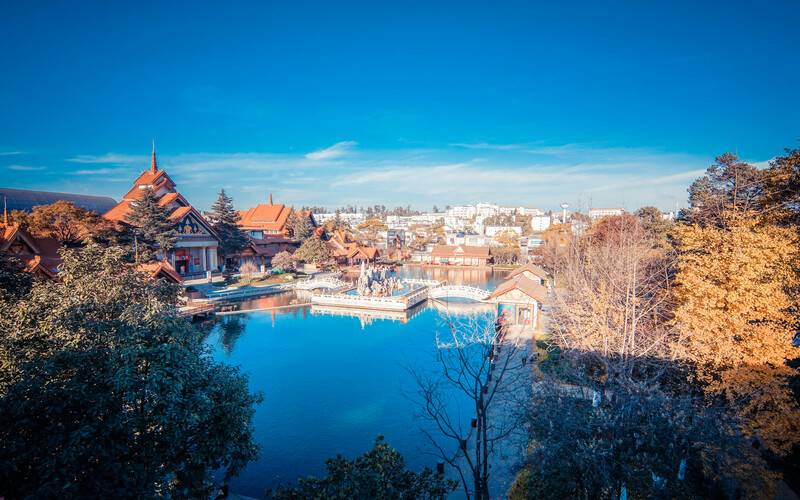 Due to this pleasant mix of ethnicities, the city has an aura of friendliness and mutual respect that makes it a very charming tourist destination. 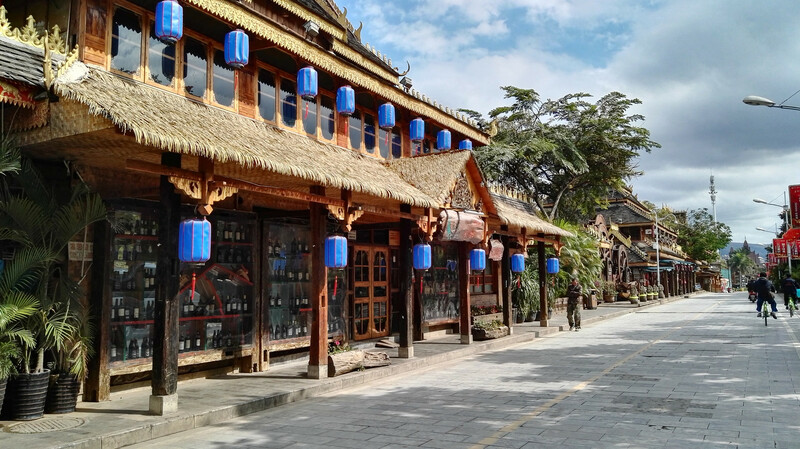 Backpackers following the Banana Pancake Trail use Xishuangbanna as the main road link to Southeast Asia. 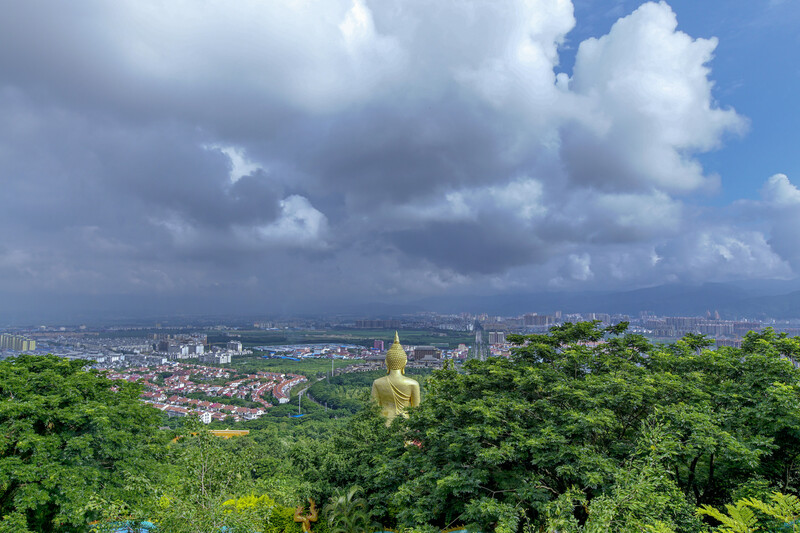 There are many tourist attractions in and around the city that showcase its ancient Buddhist culture that is prevalent even today. 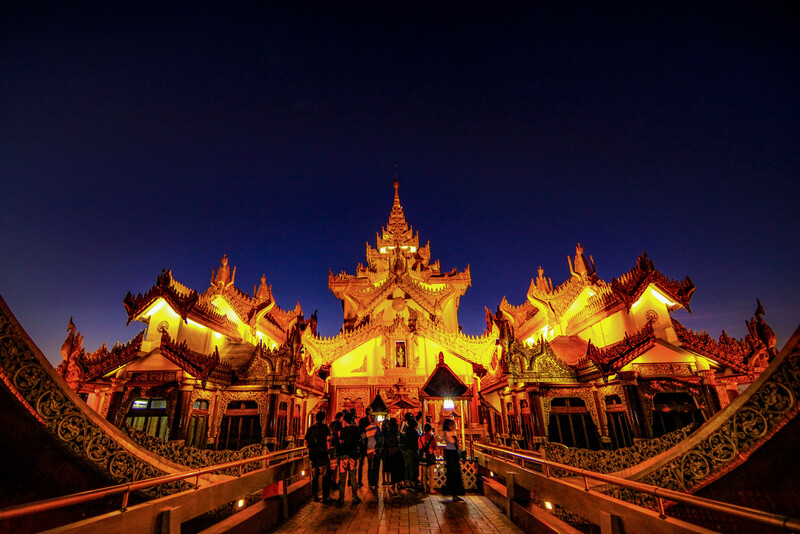 The Manfeilong Buddhist Pagoda (also called White Pagoda) is a magnificent example of ancient architecture and a must-see. Having a highly evolved tourism sector makes the city a wonderful tourist destination. April is the best time to visit the region because the Dai people celebrate the Water Splashing Festival. Besides being a sacred festival it is also the time for merriment and pleasure. Various activities like dragon boat racing, water splashing contests, sandbag attacking contests, sand sculpting competitions, fireworks displays, etc. are organized by the locals for the benefit of domestic and overseas tourists. 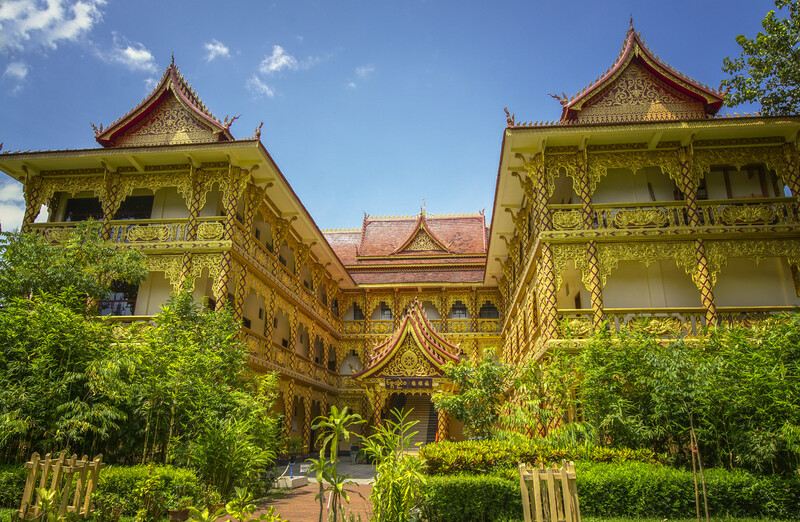 Some of the best star hotels and grade one hotels of Xishuangbanna City are located in the Jinghong locality. The hotels provide spacious and tastefully decorated rooms with spectacular views. The various amenities include airport shuttle service, concierge service, swimming pools, in-room dining, 24x7 restaurants and bars, daily laundry, housekeeping, etc. 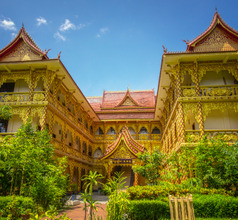 Xishuangbanna City also has a variety of lodges, low-priced hotels, and youth hostels that provide inexpensive accommodation. They have clean rooms and a few basic amenities and are located near public transport terminuses in the center of the town. The staff is polite and helpful. In fact, not only those who are involved in the hospitality and tourism sectors but the locals are courteous too. 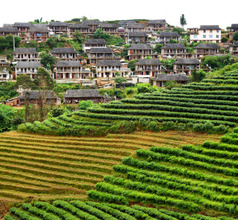 The diversity in culture, geographical features, and biological treasures has made the region a tourist hotspot. One unique place is the Single Tree Forest. It consists of just one banyan tree which is so large that it looks like a forest on its own. The tree has spread itself over an area of 120 square meters and has a height of 70 meters. 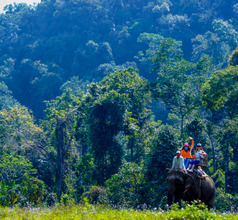 The Wild Elephant Valley located in the Mengyang Nature Reserve is a pleasure for naturalists, photographers, tourists, and conservationists. They can admire the pachyderms in their natural environment. 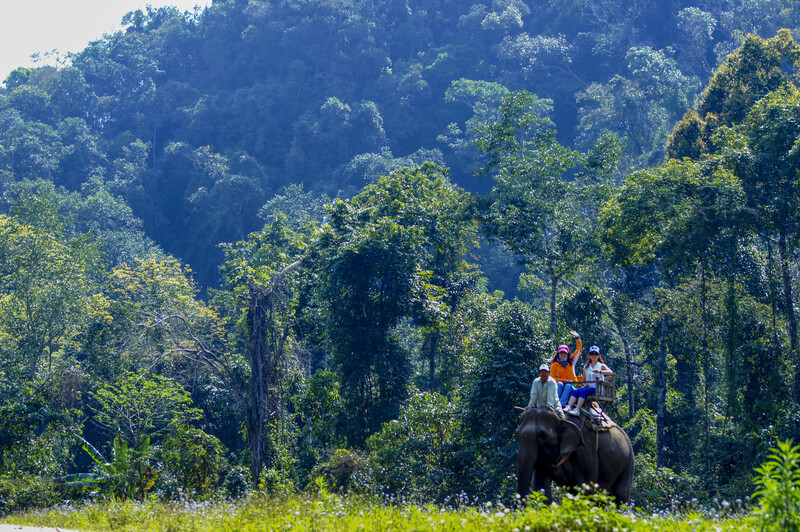 There are treetop cabins that serve as vantage points to watch the elephants. Other than the White Pagoda, the city has another architectural marvel to be proud of. The Jingzhen Octagonal Pavilion, with its fine craftsmanship and aesthetic design, is a wonderful example of Buddhist-Chinese architecture. 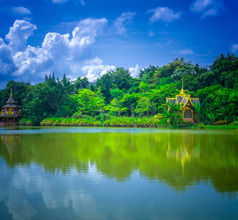 An attraction that is definitely worth a visit is the Xishuangbanna Tropical Botanical Garden which is well-known for its vast array of flora. It has more than 3,000 species of tropical plants spread over an area of 900 hectares. 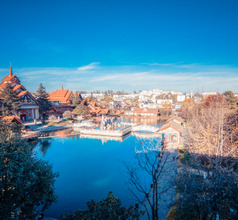 Its magnificent collection and colorful landscape make it a must-see while in the city. 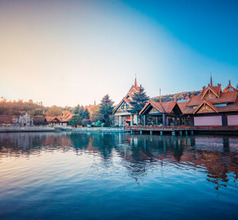 The Olive Dam area is a unique place near Xishuangbanna City and a popular attraction despite its warm climate. This tourist attraction consists of two adjoining ethnic stockade villages that are well-known for their tropical fruits. 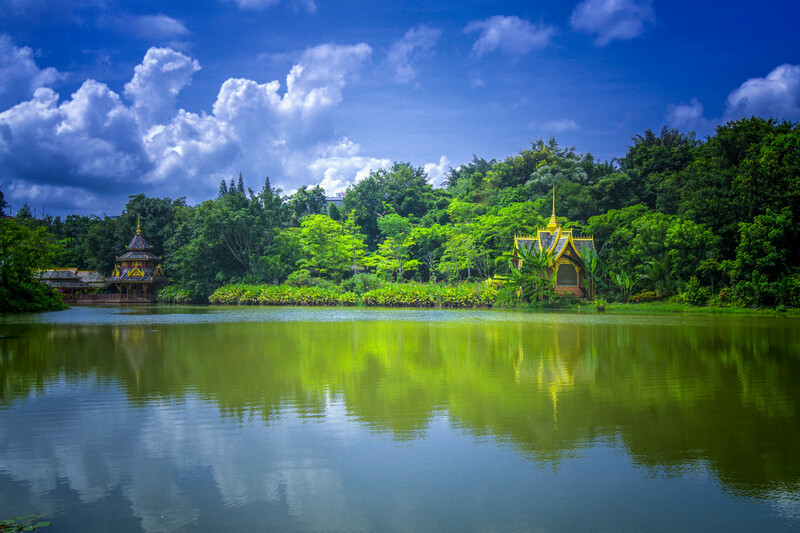 The area is a delight for photographers because of the spectacular orchards, Burmese-style bamboo houses of the Dai people, and the traditional Buddhist pagodas. 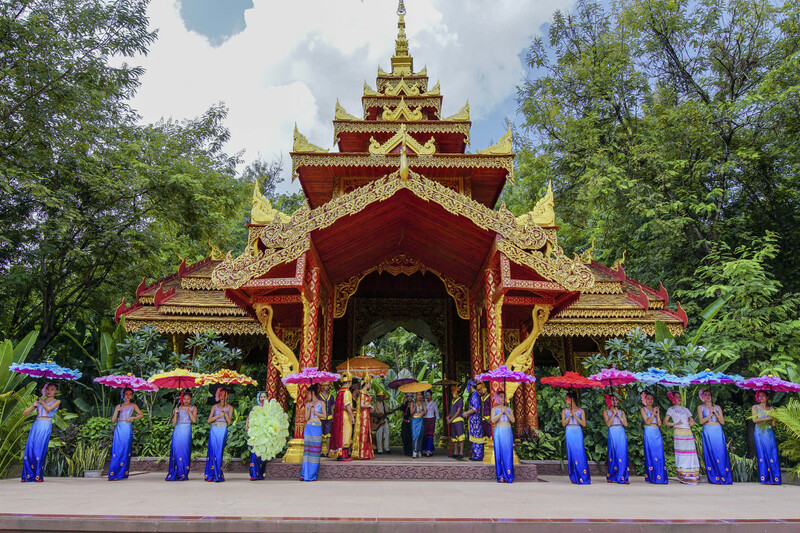 Other very popular tourist attractions near the city of Xishuangbanna are the Mandian Waterfall with its 10 cascades and a 20-meters drop, the Nationality Culture Park with its ethnic shows, the Old Town of Yiwu, etc. 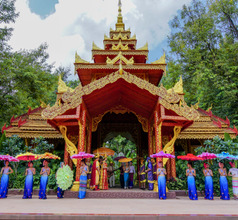 The Jinghong Xishuangbanna Gasa Airport is placed 5 kms from the middle of the metropolis. A car ride takes 15 minutes and public buses are an option. However, they are 500 meters from the airport. Majority of the traffic goes to Kunming, though there are flights to other cities as well. 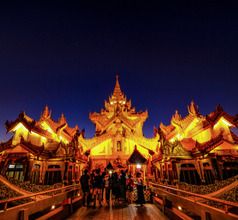 In fact, international routes to neighboring Myanmar and Laos are offered. 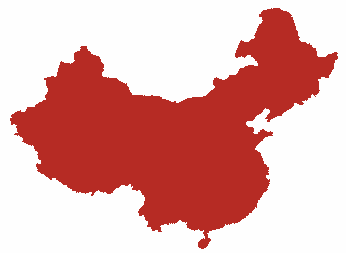 Carriers available are Lucky Air, China Eastern and China Southern Airlines among others. The hotels with in-house restaurants serve International meals to cater to overseas tourists that visit the city in large numbers. 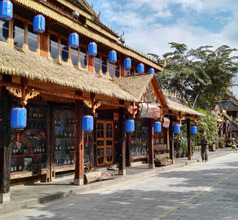 But the local cuisine in Xishuangbanna City is typically Dai ethnic type. It consists mainly of sticky rice, grilled or BBQ items, seafood, and is generally sour. A majority of the local restaurants serve Dai food. Some of their specialties are fragrant bamboo rice, boiled fish with pickled bamboo, chili peppers and fish grilled on charcoal, etc. The tastiest versions of these signature dishes are served in the Dai ethnic village on the outskirts of the city.